"...we cannot speak about the Christian faith impacting our world, our country, or our community if it is not first impacting our homes…" (Jason Helopoulos, A Neglected Grace, Chapter 9). Everyone lives for something. This something shapes our daily activities. "A few Christians living under the same roof does not make a place a Christian home any more than two or three bankers living in a house makes it a bank. A Christian home will seek to be centered upon Christ, and if it is centered upon Christ, then it will be filled with worship." Worship is the end for which we have been created. So, why do we fail to live worship filled lives? In Chapter 1 of A Neglected Grace, Jason Helopoulos answers this question simply and Biblically: sin has resulted in a shift of our object of worship. He writes: "The great sin of the Garden of Eden is fundamentally an exchange in the object of worship" and explains that Adam and Eve went from worshiping God to worshiping self. Unfortunately, we do the same thing daily. "...is nothing more than our response in the home to God's magnificent and infinite grace. And it is by that grace that we gather together with our family members to delight in His excellent goodness and eternal glory. Family worship is not something we have to do. Our right standing before God is not impacted whether we lead our families in worship or not. Christ has already accomplished all for our salvation. 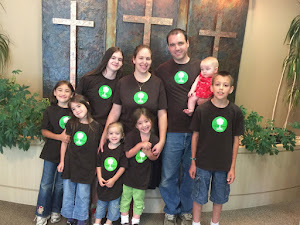 Rather, family worship, like other spiritual disciplines, becomes something we want to do." "In the history of the church and the history of God's people in Scripture, there have always been three clearly defined spheres of worship: secret worship, corporate worship, and family worship." Helopoulos gives evidence for and briefly expounds upon each sphere and then, continues to explain how each of the spheres are "related, informed, and encouraged by one another". "Do you see yourselves as key figures in the redemptive story?...If we understand the importance of what has been handed down to us then we cannot keep it to ourselves. We must share it." He reminds us that God's works are to be proclaimed from generation to generation "So that they should set their hope in God and not forget the works of God, but keep his commandments." He challenges the husbands to lead their wives and children in the pursuit of God citing First Timothy 5:8 and contending that the "provision" therein is not simply physical since wives and children are not merely physical bodies but have eternal souls for which must husbands must also diligently care. Helopoulos also appeals to mothers throughout the book to pick up this joyful responsibility should the husband be unwilling or unable to do so. "If the father is absent, either physically or spiritually, then this joyful responsibility falls upon the mother." "If you introduce one new hymn to your family a month...over the course of ten years they will have learned one-hundred-and-twenty hymns." Furthermore, "If your family memorized one verse every two weeks for fifteen years, your children (and you!) will have memorized 390 verses!" Helopoulos cites many additional blessings of memorization and notes helpful suggestions for making it fun. In Chapter 5, Helopoulos considers "Our Manner of Worship". Perhaps most challenging for the average family is to strive for regular, consistent times of family worship. He writes: "...there is nothing that will dilute the benefits and effects of family worship more than family worship that is sporadically practiced." Helopoulos expounds upon "What Family Worship is Not" in Chapter 6. Among the topics considered, we are reminded that family worship is not a time to rebuke family members but a time to "fix a family's eyes upon Christ above all else and not upon the sins of one another." He also reminds us that family worship is not a guarantee that children will come to a saving faith in Christ (thought it might be a tool). Helps for the journey are listed in Chapter 7 and common challenges are considered in Chapter 8, including the fact that conviction does not always lead to action. Chapter 9 shares encouraging testimonies "of God's work in the lives of others". Appendices include: "Sample Family Worship Structures"; "Simple Beginnings with Scripture and Prayer" (basic questions to ask of various ages); "Recommended Resources", "Sample Responsive Readings"; and "Catechisms and Creeds". I trust that many folks will find A Neglected Grace an edifying and God-glorifying read. Jason Helopoulos does families a great service by bringing this much needed, fresh exhortation to pursue God together as families. May many families be encouraged to introduce their families to or persevere in family worship through this helpful resource!! *Many thanks to Cross Focused Reviews and Christian Focus Publications for providing me with a complimentary electronic copy of this resource in exchange for my honest opinion! I found your blog from your review of Real Life Discipleship. I have recently written a similar book about discipleship. I was wondering if its possible for me to provide you with a copy of my book in hopes that you would consider reviewing it? So what do you do when a 6’6” 290-pound thieving drug-dealing pill addict trained in Brazilian Jiu-Jitsu is standing next to you on a Sunday morning in a church gathering? My thought is that you become that guy’s friend as soon as possible! So one Sunday, years ago, I had the God-ordained, God-orchestrated privilege of meeting Robby Gallaty. Simply put, the Lord’s hand on this brother was evident from the moment I met him. Robby had just become a follower of Christ, and his zeal for Christ was not just clear; it was contagious. Before long, I had the privilege of baptizing him, which is quite a story in and of itself (just imagine this 6’6” 290-pound man slipping on his way down into the baptistery and falling straight toward you, causing water to splash over onto the choir like a wave pool out of control). Every week, Robby and I would meet for Chinese food over lunch. We would walk together through God’s Word and pray together for one another. I can still remember sitting over General Tso’s chicken watching Robby write down every single truth I shared with him on the napkins at Mr. Wang’s. Then he would take that truth and not only apply it in his life, but also teach it in others’ lives. I visibly watched this brother soak in the gospel as he spread the gospel on a weekly basis. You can learn more about my book at http://growingupbook.com or visit Amazon: http://amzn.to/18N4PPO. Many people have graciously endorsed the book already: Kay Arthur, Robert Coleman, Jerry Vines, Eric Geiger, Ed Stetzer, Tim Brister, John Ankerberg, J.D. Greear, Bill Hull, Greg Ogden, Johnny Hunt, Larry Osborne, Derwin Gray, Chris Adsit, Russell Moore, Danny Akin, Sam Rainer, Bobby Harrington, Tony Merida, and Clayton King. I can provide it to you as a digital file immediately. If you would like a paperback copy after reading it, I will be happy to mail you one as soon as I receive the printed copies. Of course, I understand that you are under zero obligation to review my book, and if you do review it, you can leave a good or a bad review. I am simply asking for you to prayerfully consider it. Thank you in advance. I look forward to your response.